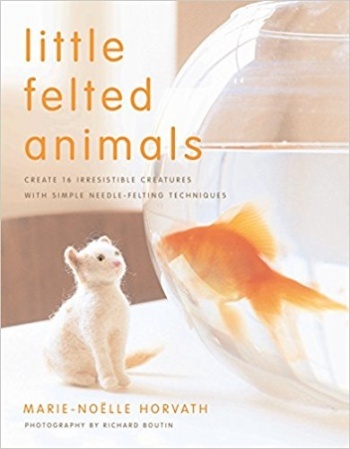 In Little Felted Animals, author Marie-Nöelle Horvath shows how to make the most adorable little miniature animals, using just a few simple tools and some wool roving. Featured animals include birds, bears, cats, dogs, mice, a fox, a sheep, a seal, and a bunny, and make great gifts or decorations. Beautifully photographed in their natural habitats, these 16 gorgeous creations will melt the heart of every crafter.